The bullwheels of our beloved resort chairlifts have made their final rotation for the 2017 snow season, and a sensation of both exhaustion and stoke washes over us as we come to terms with the last turns of the Australian Season. There hasn’t been this much snow in the Aussie Alps, at the start of October for many years, the most recent snow depth measurement from the Snowy Hydro at Spencers Creek coming in at 213cms. Already people are talking about this being the best winter in years etc., but the reality is the first half of the winter was pretty ordinary with minimal snowfalls and the worst natural snow cover since 2006. 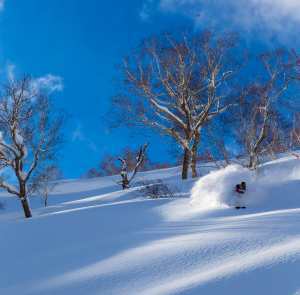 The snow depth at the end of June was a paltry 4cms, with a few snowfalls during July taking it up to a modest mid-season total of just 98cms at the end of July. The season had started with promise, all resorts having lifts open on June 10 for the opening weekend thanks to a good storm on May 28 followed by two weeks of cold weather and good snowmaking conditions. However, when June came and went without a snowfall that early season optimism had been replaced with a more pessimistic outlook and people were wondering if and when we’d see a decent storm. Fortunately, snowmaking conditions during this period were favourable with a number of temperature inversions that saw very cold temps at lower elevations. This not only provided some great, if limited, on-piste skiing in school holidays but also built a deep base on the main runs in most resorts. Another contributing factor was consistent WNW winds during the second half of July which blew in a lot of snow. 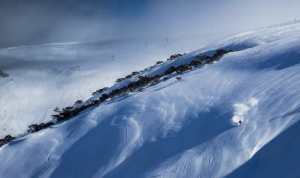 This was particularly beneficial to Thredbo which opened the Antons and Basin T-bars on a base of mainly wind-blown snow. The first decent snowfall of the season wasn’t until July 19 when most resorts reported 20-25cms of snow in a 24-hour period. There was a sigh of relief when this snow came through, understandable as it was the first real snowfall since May 28. Unfortunately, the front moved through pretty quickly, but it the combination of the snow and a lot of wind saw more terrain and lifts open in all resorts. The snow was at its best on Sunday August 6 and Monday the 7th, with deep light snow, the sub-zero temps maintaining quality powder. 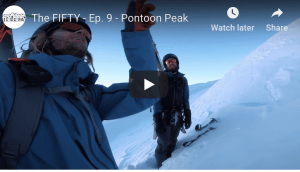 When the storm cleared, Tuesday was cold and the snow was dry and although it wasn’t deep fresh snow, the skiing was sensational with plenty of dry windblown and perfect corduroy on the groomed runs. And rain it did, with all resorts reporting 80-100mm, Perisher having a massive 140mm in 24 hours by Wednesday morning. Remarkably the rain seemed to do minimal damage to the snowpack, unlike last year when we had a similar rain event, the creeks didn’t burst open and there was no flooding. This turned out to be another great storm with three days of snow and some great skiing and the weekend of August 18/19 was one of the best of the year. The temps stayed cold for the rest of August with overnight temps regularly down to -6 and a couple of light snowfalls to freshen things up. There was also plenty of wind in late August with a cold westerly air flow blowing a lot of snow. 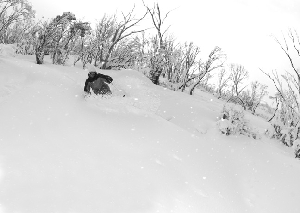 That storm dropped over a metre of snow and with temps down to -7 there was some incredible powder, some of the best you’ll ever get in Australia. It was windy and wind-hold was a problem with some chairs, but those who braved the storm are still talking about it. Since then we’ve had sunshine, strong winds and good spring skiing. Once lifts close next week there will still be a tonne of snow in all resorts. There will also be plenty of snow in the backcountry and the next few weeks will offer some great spring touring on the Main Range. The 2017 winter will go down as a good one, mainly due to the consistent quality of the powder we had in August and early September and the good spring. The fact we had lifts in all resort spinning on the opening weekend and are closing with such a good cover of snow does make it an above average year. Probably a season they’ll be talking about for a long a while.